Until now, managing and interacting with your contacts has been a real frustration. 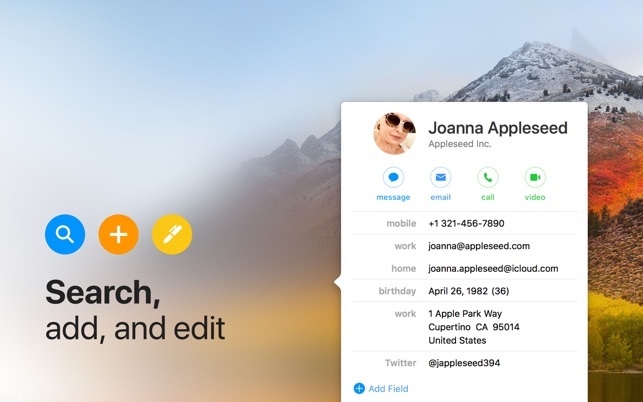 Cardhop’s magical parsing engine is incredibly intuitive, letting you search, add, edit, and interact with your contacts using a simple sentence! Just type in “John G” and John’s card will instantly appear. 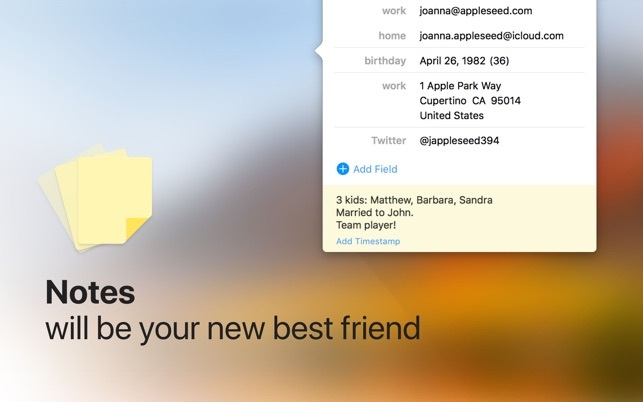 Or enter “Sarah Smith [email protected]” and Cardhop will add a new contact to Sarah’s card. 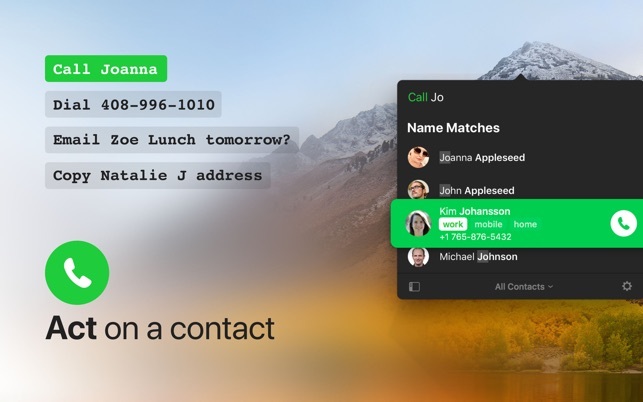 Or type in “call Michael S” and Cardhop will instantly start a phone call with Michael on your Mac or even directly on your iPhone! • Even better, some actions are flexible. 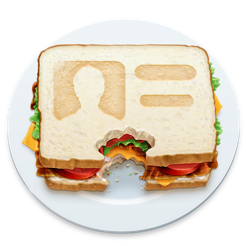 For example, you can add a subject to an email by entering “email Kent Lunch tomorrow?” and the email including the subject will instantly appear, ready to go! 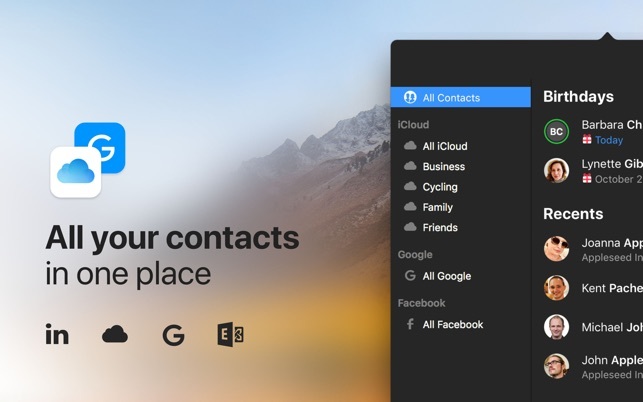 Cardhop — the contacts app you’ll actually want to use. 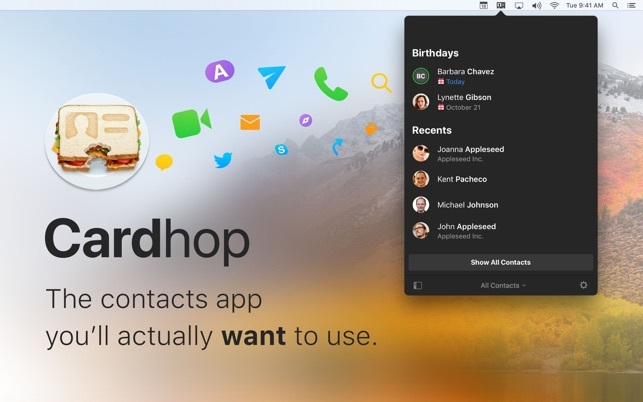 Cardhop for Mac now has the perfect companion: Cardhop for iOS is now available on the App Store! Copyright Copyright © 2017-2019 Flexibits Inc. Copyright © 2019 Cmacapps. All rights reserved.